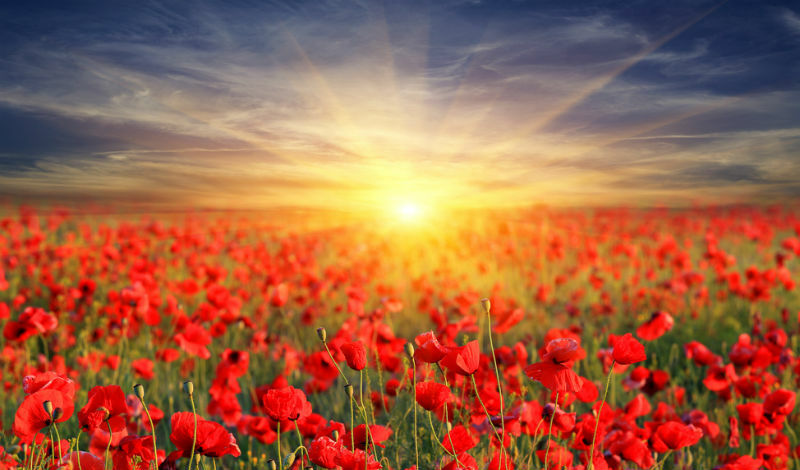 To rise up in the workplace, to succeed and stand tall — to be a “tall poppy” — is something that should be celebrated and encouraged. And yet many women find themselves cut down, attacked, resented and criticized because of their achievements. This can lead to productivity and disengagement issues, alongside absenteeism and turnover, according to a survey delving into “Tall Poppy Syndrome” (TPS) by Canadian HR Reporter in partnership with Viewpoint Leadership and Women of Influence. The perpetrators are almost evenly split between women (31 per cent) and men (27 per cent), or both (41 per cent), found the survey of more than 1,500 people. And the most common ways they cut women down is through cyberbullying (64 per cent), bullying (58), dismissals of achievements (55), calling someone selfish or superior (52), taking credit for others’ work (51), and leaving out or ignoring successful women, or downplaying their achievements (both 50 per cent). Mostly, it feels as if tall poppies are being penalized, said Lauren van den Berg, national vice-president of government affairs at Restaurants Canada in Toronto. And the response from the organization was disappointing, choosing to view it as a personality conflict with the mantra that “people just need to get along,” she said, when the situation was clearly beyond that. Sometimes, it can be more passive-aggressive behaviour, according to Reva Ramsden, associate dean at the School of Manufacturing, Automation and Transportation at the Southern Alberta Institute of Technology, in recalling a meeting where a supervisor was explaining an issue and said it was probably too complicated for some of the people in the room. At a previous employer, Jennifer Cordeiro, manager of talent acquisition in consulting and deals at PWC in Toronto, was faced with women who had been there for a long period of time and resented her success. Not surprisingly, this kind of behaviour takes its toll. Seventy per cent of respondents said it impacted their productivity at work. Sixty-five per cent cited lower self-esteem; 60 per cent said they downplayed or didn’t share their achievements; and 46 per cent had negative self-talk. “If you’re spending eight, nine, 10 hours a day at your job, ostensibly it’s because you want to do a good job. And when there’s no acknowledgement or recognition for that, you start to second-guess yourself. And that’s sort of how the poppies can, I guess, cut themselves down,” said van den Berg. It got to a point where Petryshen wondered if she just had a problem with women. Most often, tall poppies who had been cut down at work came to feel a lack of trust of co-workers (70 per cent), or were either disengaged from their work or looked for a new job (both 59 per cent), while 57 per cent were disengaged from their organization or experienced imposter syndrome (meaning they felt inadequate and filled with self-doubt despite being successful). Fifty-three per cent said they felt disconnected from their peers or co-workers, while 46 per cent actually left a previous job because of the behaviour. Thirty-six per cent were disengaged from meetings while 20 per cent were absent from work and 19 per cent gave others credit for work they had done. “It got to the point where you couldn’t do anything without being criticized for it. And I ended up switching and transferring to another hospital in town,” said Petryshen. It can be difficult raising the issue, she said. By doing a great job, Petryshen said she faced interpersonal conflict around whether to go the extra mile. Fifty-seven per cent of respondents said they felt pressured to downplay or not share their achievements at work. Almost half (49 per cent) said the behaviour impacted their desire to apply for a promotion while another 49 per cent said they felt they would be penalized if they were perceived as ambitious at work. “It contributes a great deal to what makes a toxic work environment toxic, because if your best people don’t feel engaged or recognized or appreciated, they’re not going to be your best people for very long, and all you’ll have left is the middling back-end of the pack. And the organization as a whole will suffer — deliverables, outputs will suffer, members and clients will suffer — but so will the industry, reputations, brand, all the good work that has been done will be sort of brain-drained,” said van den Berg. However, 42 per cent said TPS also made them want to achieve more. In one situation, for example, where her peers were trying to sabotage her work and take credit for it, she worked hard to get along with those individuals. express my feelings and my objectives and long-term goals. And I was able to turn that relationship around and manage it,” she said. As to why people choose to cut down others because of their success, most respondents cited jealousy or envy (83 per cent), followed by sexism or gender stereotypes (68 per cent), the culture of an organization (61 per cent), lack of confidence (60 per cent) or lack of awareness (29 per cent). “It’s always been old white men who know other old white men; it’s done by Rolodexes rather than by merit,” said van den Berg. For women, modesty and humility are vaunted over success, and many people who feel inadequate cut down the ambitious folk rather than developing ambition and drive to succeed on their own, she said. It feels cliché to say someone is jealous, said Petryshen, but there was an element of jealousy with one of her bullies, who disparaged her house and husband. Sometimes, it’s a person’s lack of education or self-awareness that makes them want to cut others down, said Ramsden. “You go back to emotional intelligence… some of these things are so obvious that if we took the time to have the discussion, people would realize the impact of their words, or those subtle ways of phrasing things. And, I think it would go a long way in improving,” she said. “It’s just the courage to have the conversation and the courage to confront someone because, I think, nine times out of 10, they don’t even realize (what they’re doing) because it is so ingrained in our culture or it is such a part of the culture where they work,” said Ramsden. And the thing about poppies is “there’s plenty of space for all of us,” said van den Berg. Canadian HR Reporter and Thomson Reuters are hosting a half-day forum on Oct. 9 to reveal and discuss the results. Tickets available.